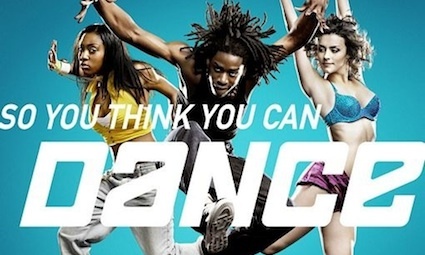 I love So You Think You Can Dance. I find the show magnetically compelling and the talent breathtaking. I’m continually amazed by how completely effortless the dancers make these incredibly complicated moves look. They are clearly having an enormous amount of fun, and it makes people like me wish that I, too, were a dancer. But they don’t just magically get to the fun part, do they. The things that are the most rewarding and fun are all like this, of course. If I can effortlessly play the piano, it’s because I’ve spent hundreds, maybe thousands, of hours practicing. If I find writing fun, it’s probably because I can type almost as quickly as I think — something that’s doesn’t exist without the significant amount of time I spent in an utterly boring typing class. We all want the fun, the play, the enjoyment, the effortlessness. But we often forget that the “fun stuff” only ever happens after we put in the time to get there. Effortless fun lives on the other side of the really tough work. But it’s always worth it. See? Another interest in common with Josh – SYTYCD is my favorite show on TV. Precisely because it showcases people working in their passion. It is rare to find a young dancer on this show that is not grateful for the opportunity and who has already integrated humility into their character. The dancing is part of the joy of watching, but getting to know the stories of the dancers is to me, the best part.